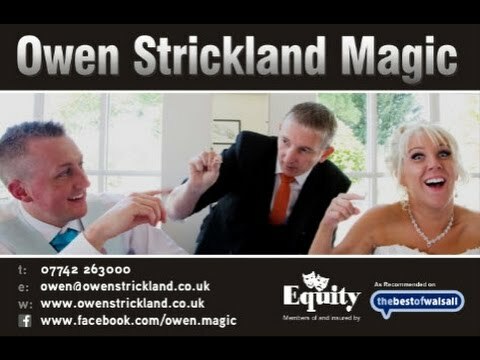 Owen is a renowned Wedding Magician in the Midlands , so book him today! Owen can help by providing fun, laughter and magical entertainment that will remain in memories long after the day has ended. Owen can perform throughout the day covering the start to the end, including the following sections of the dayleo.